At first I got a chuckle out of this question because I know that the cost of Nashville real estate is much less than these major cities on the coast. 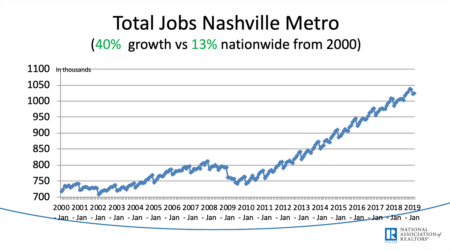 In the national media, there have been many stories about Nashville being the "it" city, the “hottest” market and costly to stay in a hotel. And that has given the perception that Nashville is expensive. So, I decided to dig in and find out the truth about the cost of real estate in Nashville as compared to other places around the country. Since many people who move to Nashville lease before they buy, I wanted to include some information on the rental market too. As it impacts the ability for people to move here. The average sale price of a home in Nashville during the first quarter of 2017 was $212,900 according to a recent Zillow study. This is close to the national average of $196,500 and significantly less than the average price in New York ($411,000) , LA ($601,900) and San Francisco ($843,200). This price puts us on par with bigger cities like Dallas, TX ($205,300) and Chicago, IL ($208,400). When you look at the cities that Nashville is compared with the most, you’ll find that Nashville is more expensive on average than Atlanta ($175,800) and Charlotte ($170,600). And less expensive than Austin ($267,500). Based on this information, I feel Nashville is in a good place because the increases are driven by the 80+ people who are moving here everyday. And not by speculation. The average monthly rental cost in Nashville is $1,465. Again, it is close the the national average of $1,408. Now, let’s compare against the same cities used above. The average monthly rent is: New York ($2,386), LA ($2,648), San Francisco ($3,352), Dallas ($1,569), Chicago ($1,615), Atlanta ($1,337), Charlotte ($1,250) and Austin ($1,691). Once again we have similar results. Here’s what caught my eye more than anything else in this study. Regardless of the cost, this study shows there is value in Nashville. When you compare all of the cost of ownership against renting in Nashville, the break even point is 1.9 years. That means that in less than two years time the cost to own a home is cheaper than renting in Nashville. And when I looked at the rest of the list, Nashville was the value leader among the most expensive places to live in the country. For me, value is king. I do not mind paying more to get a better return. 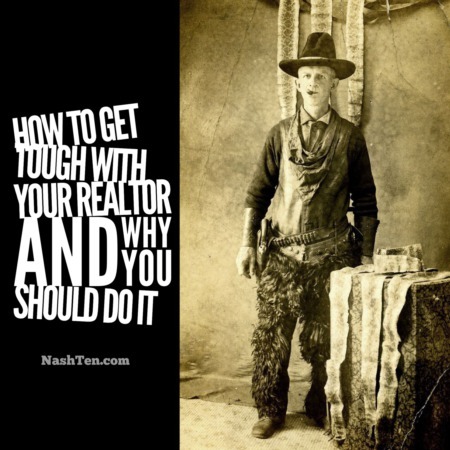 And, if you want to talk about finding value in Nashville, then give me a call at 615.519.0983. The Daily Deal in Nashville is an updated ranch in Donelson that would make a great rental or first home. It is listed for less than $170,000.